Arrgh Matey’s ye be finding this ere Secret tale o the Rum’s Revenge. 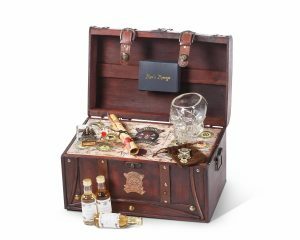 If ye be whisky drinkin sorts, then be off with ye and come back when ye get yer hands on a Rum’s Revenge Pirate Chest. Through treacherous waters we be sailin over the seven seas to find all 12 o the lost rums. 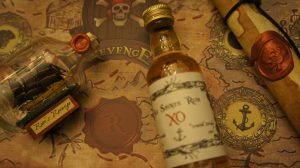 Yer first task is to search high and low for a Rum’s Revenge 1st Edition Pirate Chest. After finding yer chest and making it safely back to harbor, open the damn thing up ye scurvy wretch what are ye waitin for … fairer weather? Inside ye be findin yer sealed treasure map. Guard it closely as it be yer true guide to finding all the lost rums. 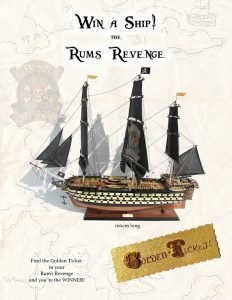 Thar be a wee Rum’s Revenge in a bottle or even if ye be the luckiest Pirate in these waters a Golden Ticket giving ye a full scale model of the fabled Rum’s Revenge Pirate Frigate. 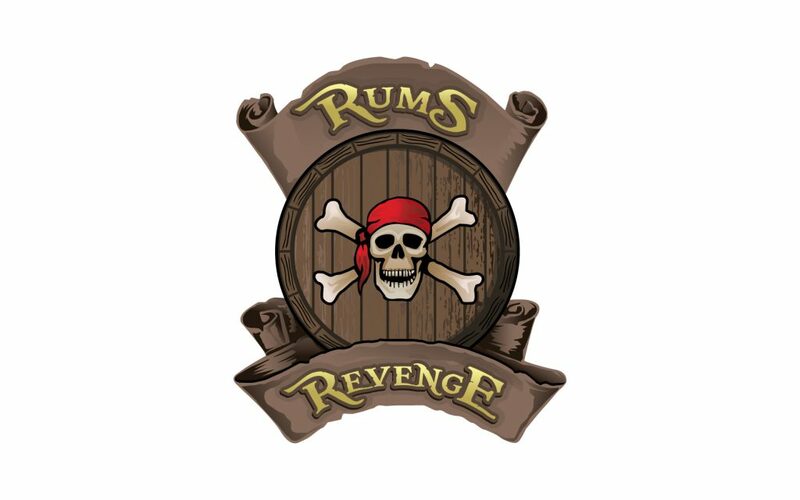 Use yer Rum’s Revenge to hold open the map as ye be sailing to distant lands in search of liquid gold. It’s looks like it be Land Ho and Anchor’s Away as the Rum’s Revenge hits the first mark. If ye be pickin the right match then ye be findin the first rum alright. Before ye go crackin the bottle and skullin it, like the desperate pirate I know yer to be, look around the chest and punch the Rum’s Revenge Jolly Rodger. Yer skull glass be the proper tankard for rum swillin. Thar be somethin special and eerie about this skull an as we set sail, clues may be revealed to bring it to life. Under the anchor a cache of rum from the land of Grenada. Six Saints. Righteous Rum if ever there was. From the famed Grenada Distillers company that been around since 1937. There be Six Saintly Parishes in Grenada and this ere rum be named after em all. Sniffin: Tropical like givin off pineapple and banana and all manner of ripe fruits. Tastin: Pineapple upside down cake like them fancy ladies make before we pillage their haughty estates and scarf down their lunches. Stash ye map and ye Rum’s Revenge away. Wash ye skull glass if ye must to ward off scurvy and tuck it away for the next leg o the journey. Thar be a piece of eight somewhere fer ye to find. I’m done with ye fer now begone until the next sailin n enjoy some time in port wenchin, drinkin and pillagin like a true pirate should. Captain Flintlock Bray Master of the Rum’s Revenge.